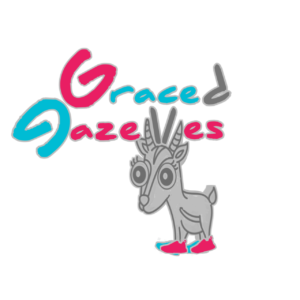 Graced Gazelles will strive to meet the physical developmental needs of all children from infancy to the age of 18. From crawling to running, balancing or coordination, we have what you need to get your child up to speed, in a fun and funky way while we skip, jump and play. We can also assist with Sports Conditioning, Nutritional advice or Exercise for children with Special Needs including Autism, ADHD etc. When children exercise the amount and mix of chemicals in their brain change causing dopamine levels to increase. This chemical is involved with attention. This, off course, is of great benefit for those with ADHD. According to recent studies, it is also suggested that 20min of vigorous activity, 3-4 days per week in a child with Autism, could have numerous benefits including : Reduction of Stereotypic Behavior, Improvement of Social skills, Establishing a routine, Promotion of Weight loss and Improvement of Attention. * A coach will come to your school once a week, on a chosen day, for a 30min session. * I do believe that those with Autism will benefit from more sessions that forms part of a daily routine. If you should chose to go with such an option we do have a special package for you. * For those choosing the Sports Conditioning option, classes could be run individually after hours or in teams during school hours if the school agrees. * Classes will be presented according to age group e.g. Though the cherry trees don’t blossom and the strawberries don’t ripen, Though the apples are worm-eaten and the wheat fields stunted, Though the sheep pens are sheepless and the cattle barns empty, I’m singing joyful praise to God . I’m turning cartwheels of joy to my Savior God. Counting on God ’s Rule to prevail, I take heart and gain strength. I run like a deer. I feel like I’m king of the mountain!